With decades of experience in the plumbing and HVAC services industries, Cooper's Inc is your one-stop-shop for a variety of indoor comfort related tasks for both your home and business. 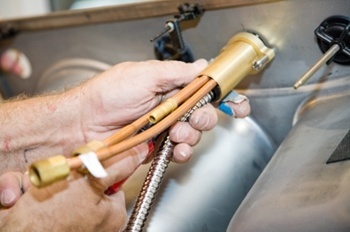 Our experienced team of plumbers and HVAC contractors in Topeka can take care of all sorts of plumbing, air conditioning and heating conditioning services, including repairs, inspections, maintenance and installations. Give us a call to learn more about what our team of professionals can do for you in terms of plumbing and HVAC services. Know for our quality plumbing services in the Topeka area, Cooper's Inc takes care of both residential and commercial sewer and plumbing repairs, installations, and maintenance work. From drain cleaning to installing plumbing systems for new construction projects, our plumbers have the experience, skills and equipment to get your plumbing needs taken care of with precision and ease. Whether you have a furnace or a heat pump, our central heating experts can take care of all your heating repari, installation and maintenance needs. Not to mention, since we also happen to be some of the most experienced plumbers in the Topeka area, we can also take care of water heaters! In the market for a new heaitng system? We have a great selection of products from top rated brands. Give our team of reliable and polite heating contractors a call today to scheule for heating services in Topeka or the surrounding areas. Our air conditioning work extends to new air conditioner installations, air conditioning repairs, maintenance, and emergency AC services. 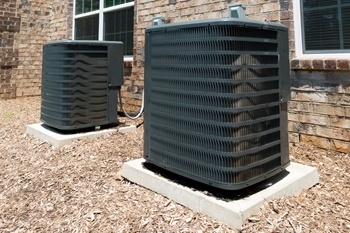 If your home or commercial space is experiencing a cooling problem or you have a new construction project in mind that needs to be equipped with a proper HVAC system, give our experts a call today! We'll be delighted to take care of any air conditioning needs you have, including providing you with some of the highest rated, energy efficient air conditioning units available on the market from respected brands. For quality plumbing and HVAC services in the Topeka area, please call Cooper's Inc at 785-267-4100 or complete our online request form.